Clear golf balls claim to be the best, but they'll cost you. Chances are you've never heard of ClearSports. The under-the-radar sports-equipment manufacturer sells tennis rackets for $240 and high-end golf shafts for $450. But it's the golf balls that caught my eye. One dozen Clear balls will run you a minimum of $90, or $7.50 per ball. To put that number into perspective, most other premium balls cap out at about $45-$48 per dozen — or $4 per ball. The company makes the balls even more exclusive by setting a limit of one introductory box "per prospective member." That's right; should you want to become a regular consumer of Clear balls, there's an application process. Those who get approved earn the privilege of paying a one-time membership fee of $1,200 to receive 12 dozen balls and some apparel bearing the Clear logo. The balls — and the business model — are the brainchild of ClearSports co-founder Garry Singer. Golf balls weren't even on Singer's radar until five years ago when he sold his legal staffing company and started looking for a new venture. The 54-year-old initially thought about buying a professional tennis tournament in Connecticut, but was eventually persuaded by friends in the golf industry to consider the idea of making a high-tech ball. "The challenge was an intriguing one," Singer said. With the help of veteran golf-ball chemists and other industry sharpies, Singer and friend Mitchell Slater went to work building Clear. The result was two models: a softer three-piece Red and firmer four-piece Black that caters to different feel, launch and spin preferences. If you're looking for an in-depth story on the technology inside each Clear ball, Singer's not your guy — he's unwilling to divulge what separates his product from others. "It's the secret sauce," he said. "We don't like to share that information with everyone. It's sort of like a secret society for diehard golfers." 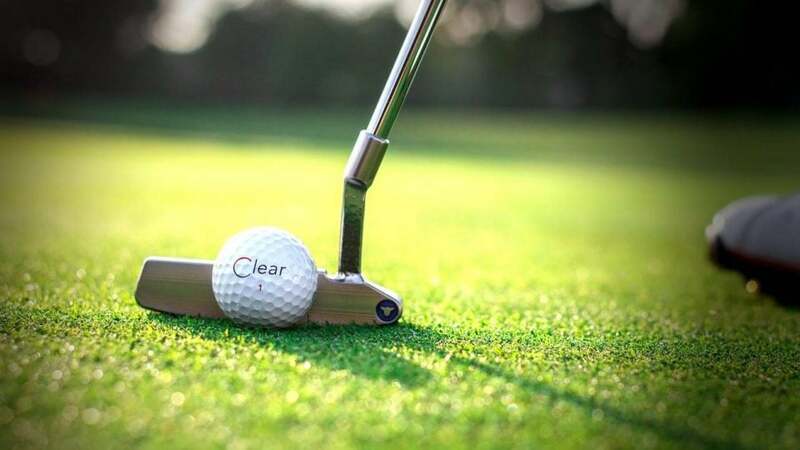 As you'd expect with a ball aimed at being a status symbol, Clear's membership list has some notable names: Sean Connery, former NHL star Jeremy Roenick, tennis great Ivan Lendl and Irish billionaire Dermot Desmond — all of whom paid the initial membership fee to get access. The balls, which are conforming, have a cast urethane cover and proprietary core with a C.O.R. (coefficient of restitution) that doesn't exceed the legal limit, Singer said. Clear has tight tolerances at their plant in China, where machinery is recalibrated weekly to ensure each ball is nearly identical to the last one off the production line. Singer said he hasn't yet been able to get his offerings in play on the PGA Tour — Skip Kendall (PGA Tour Champions) and Charlie Bull (PGA Tour Latinoamerica) are the only professionals playing Clear — but he's hopeful that changes soon. "It's tricky because I don't want to have a paid endorser," he said. "I want a guy to take an equity position in our company, so they're only doing well and making money if our company is doing well." For now, Singer is concentrating on continuing to build the Clear brand while also considering the idea of moving ball operations from China to Florida. "It's tricky to make a cast urethane ball in the U.S.," he said. "But the processes for injection molding balls is getting better and better, so if we can make it here, we will definitely move our facility. What I'd love to do is build a prototyping facility in Florida where Tour guys could come by and get a prototype version to use."